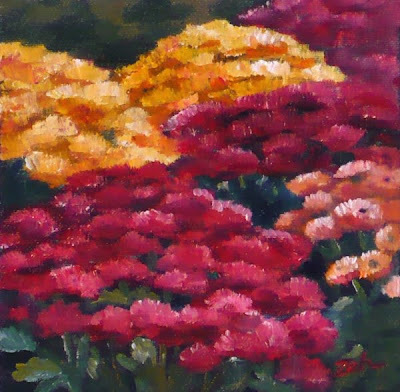 The colors of autumn are richly represented in this impressionist painting of mums. I love mums as they bloom so much later than other flowers. These are some from my garden.